Written by Ufuoma E-Ashogbon and Emeke Ndego. The day had finally arrived…for the graduation of the FLA Kids and their reunification with their families. 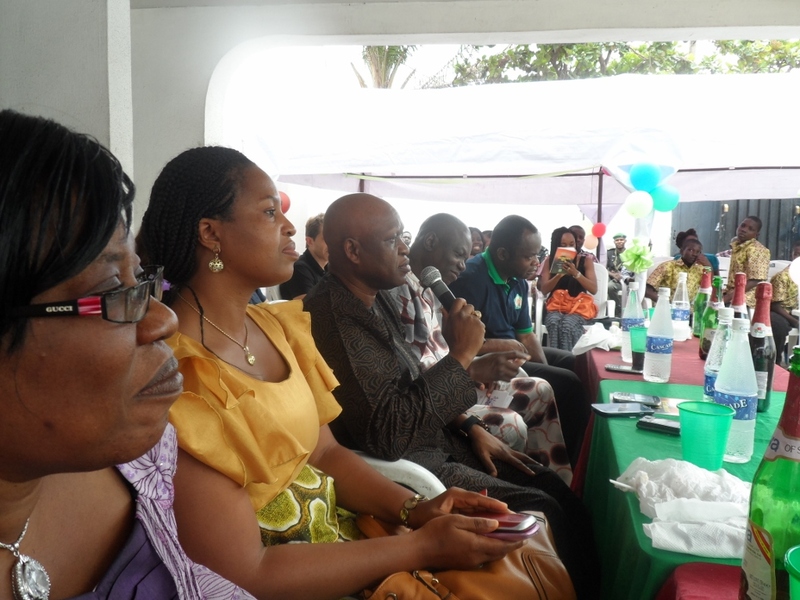 On the 27th of July, seven of the children’s families were present to celebrate their children’s reconciliation and to receive them back officially from the organisation, in the presence of Police Officers from the Juvenile Welfare Centre (JWC), and representatives from the Ministry of Youth Sports and Social Development (MYSSD) and the Ministry of Women Affairs and Poverty Alleviation (WAPA). It was the last Saturday of the month and the nationwide sanitation exercise had delayed the early arrival of some of our guests. Meanwhile, Ayo, one of our support workers and MC for the day, kept the mood alive with some rib cracking jokes and little exercises. The boys excitedly showed some of their dance moves. By 2pm, the party got underway with Nishola and Pastor (Mrs.) Osinaike saying the opening prayers. The welcome address was given by our valedictorian, Mark, one of the senior boys in the Home and two-time winner of the good behaviour competition! Pushing away every form of shyness, he did brilliantly well and introduced the members of staff as well as the other boys in the Home. Thereafter, the FLA Kids presented a song and, later, a short drama piece on their rendition of the ‘Prodigal Son’. Many well-wishers and notable sponsors of the Initiative attended to witness the day’s activities. The CEO of LAFARGE, Mr Joseph Hudson, came with his family, bearing gifts (books and clothes) as well as two new desktop computers (on behalf of LAFARGE) for the organisation. He had been around in December to play with the boys and knew them well. He gave a farewell speech to all the boys encouraging them to press on and not to return to the streets. Mrs Ufuoma Emerhor-Ashogbon (Chief Executive Officer) gave a short Send Forth Message with the theme ‘God’s Love’. She used the drama presentation given by the FLA Kids on the ‘Prodigal Son’ to illustrate her point. Her message was simple: “We have a reason to celebrate”, because what was lost was now restored, and we should forgive and be happy. The Chairman of the Board of Trustees, Olorogun O’tega Emerhor, and Mr John Onojeharho (a founding Trustee) were also on seat. 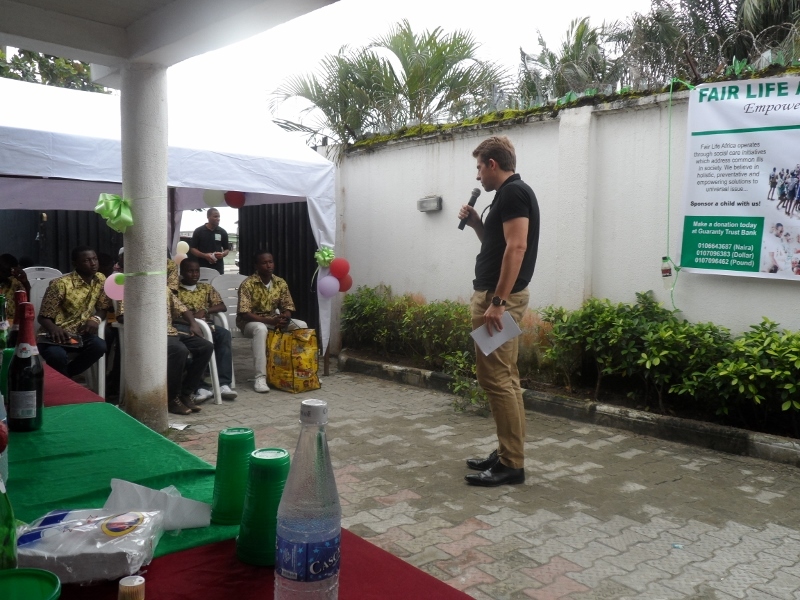 Olorogun presented the children with their awards for good behaviour, and Mr Onojeharho gave the closing remarks. Many other friends of the organisation participated to make it a great occasion. Yemi Adediji, a dear friend to the children who volunteers at the Home regularly, was available to help and to cut the celebration cake with the children. Ms Comfort Alli, the Managing Director at Street Child Care and Welfare Initiative, also came to present the gifts prepared by Fair Life Africa Foundation to the graduating boys, as well as a personal gift of her own. Vocal Slender came, by recommendation of Ms Alli, and gave a special message to the boys, as he too had been a child on the streets. The star, found by the BBC, shared with us a very touching story of his past and the progress he has made through his life’s journey. He capped it all with a musical performance with the boys dancing on the stage with him. Tosin Jegede, another child star and now philanthropist whose organisation is currently running the 1Child1Book Initiative, also came with books and gifts for each of the boys. 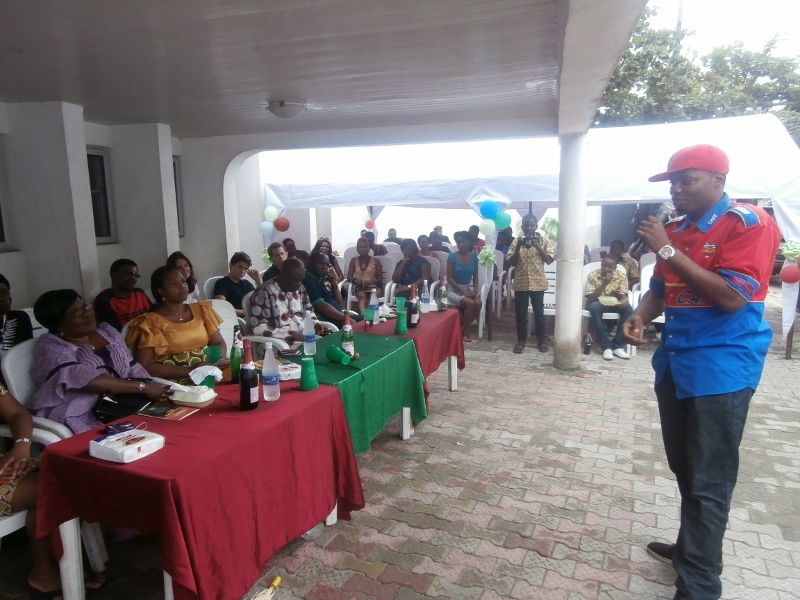 As the programme continued, the guests watched and chuckled as the boys danced and competed with musical chairs and a general knowledge quiz. There was food and drinks for all and plenty of opportunities to take photo with the boys, parents, members of staff, sponsors and friends of the Foundation. It was a thrilling experience and truly a day to remember. The party, which was blessed with good weather, concluded at 5:00pm. Each of the families were given large ghanamustgo bags filled with food provisions, as they left to return to their homes with their children. 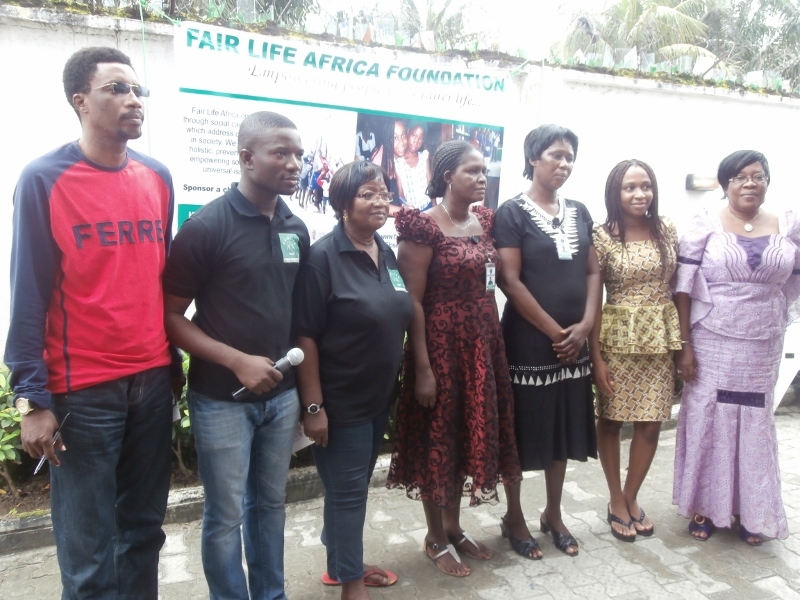 Some of the families showed their appreciation and thanked Fair Life Africa Foundation. Fair Life Africa will continue to follow up on these children, and sponsor their next academic year as they return home to live and study. Families are also supported reasonably, to enable them to stand empowered so that they can continue to look after their children, and contribute their quota to society. We appreciate all our friends and supporters who came along to make the day special, and those who contributed financially to make it a reality!!! God bless you all. You can join our supporters by getting in touch or making a donation to the Foundation. Thank you. Previous Post June’s Newsletter is Out!! !